While steak is one of the most popular barbecue foods out there, a lot of people do not know how to grill a steak to get the best results. The trouble is that it can be somewhat tricky to achieve that balance that makes for the slightly crisped exterior and the juicy tender interior. 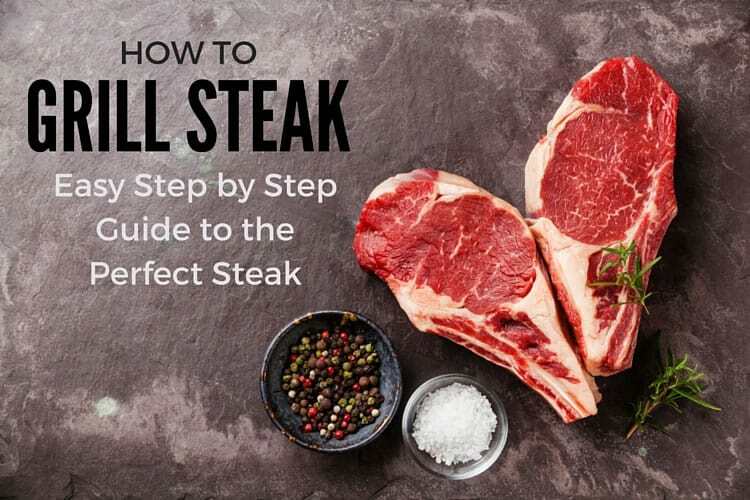 That being said, there are some basic step-by-step processes that can help any person to make a better steak on the grill. To start, you need to get the meat ready to go on the grill. 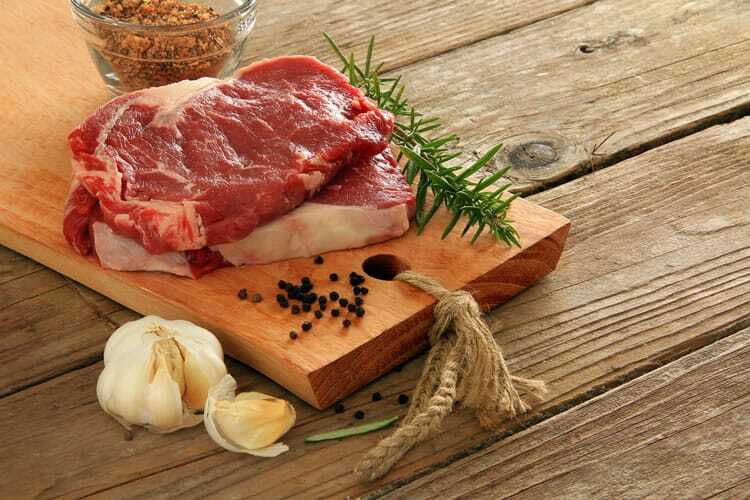 Remove the meat from the refrigerator and allow it to reach room temperature. Once the steak is at room temperature, you can apply your seasoning of choice. To grill a steak, you want the grill to produce a high heat. 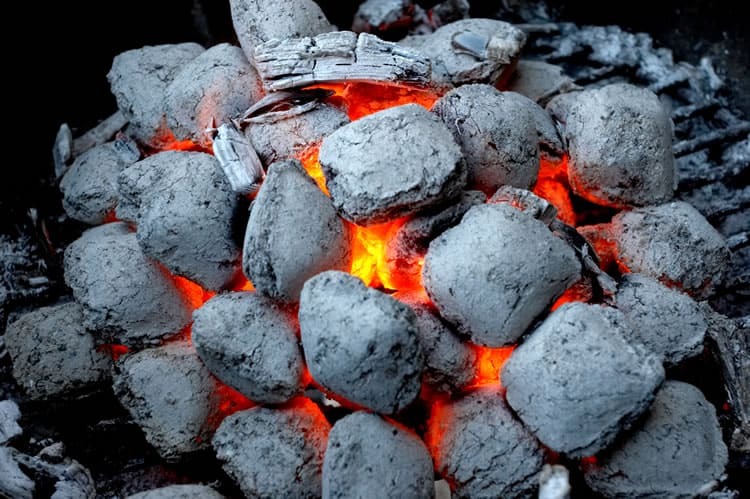 Start with a nice big pile of charcoal and let the coals reach an extreme heat. Once the grill is nice and hot, you can arrange the coals in a way that makes for a high temperature zone and a zone for indirect heat. Place the steak on the high temperature side of the grill and let it sit for about 3-4 minutes. Flip the steak to the other side and let it sear on that side for about 3-4 minutes. Try to just let the meat sit and cook during the searing process. After you have seared both sides of the steak, you can move the meat over to the side of the grill that is at a lower temperature. Close the lid and periodically check the temperature of the meat to see if it is finished cooking. The cooking time can vary depending on the thickness of the steak. Leave the steak out of the refrigerator for about twenty minutes to get to room temperature. After it is at room temperature, then you can apply your favorite seasonings. Since you need a high heat for the searing process, you want to turn one side of the grill to the highest setting and leave the other side on a medium setting. Let the side on the higher temperature get fully heated up before you consider putting the steaks on the grill. You want to sear each side of the steak before you let it sit on the warm side of the grill to finish cooking. Put the steak on the hot side of the grill and the let the heat sear the outside for about 3 minutes, then flip it over and repeat the process on the other side. After the exterior of the steak has been seared, you can then move it over to the warm side of the grill to finish cooking. You can close the lid of the grill while it cooks on the warm side, but make sure to monitor the steak to protect against overcooking. One of the trickiest parts of grilling a steak is knowing when it is done. 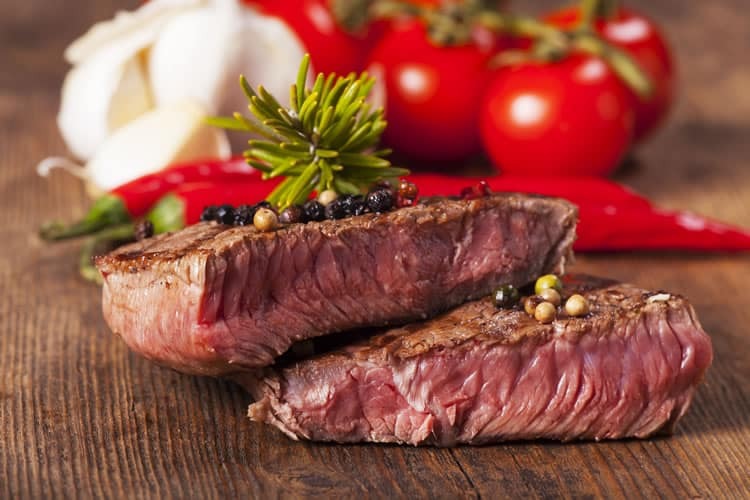 The trouble is that the times for grilling can vary depending on the thickness of the steak and the way in which you prefer your steak to be cooked. Monitoring the temperature of the meat is one of the most effective ways to make sure that you remove the steak at the right time, so it can be good to have a probe thermometer handy. If you prefer a steak that is medium rare, then you want to remove it from the heat at around 135-140° Fahrenheit. 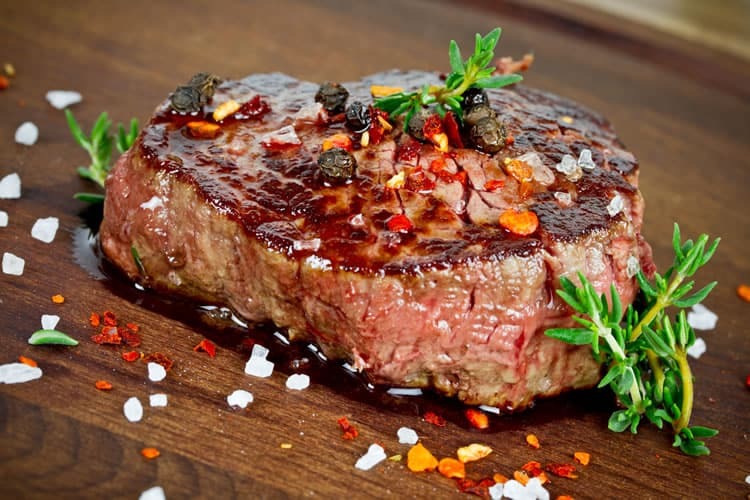 For a steak that is cooked to medium, you want to try to reach a temperature that is in the range of 145-150° F. If you are looking to cook your steak to medium well, then it should be around 150-155° F when it is removed from the grill. 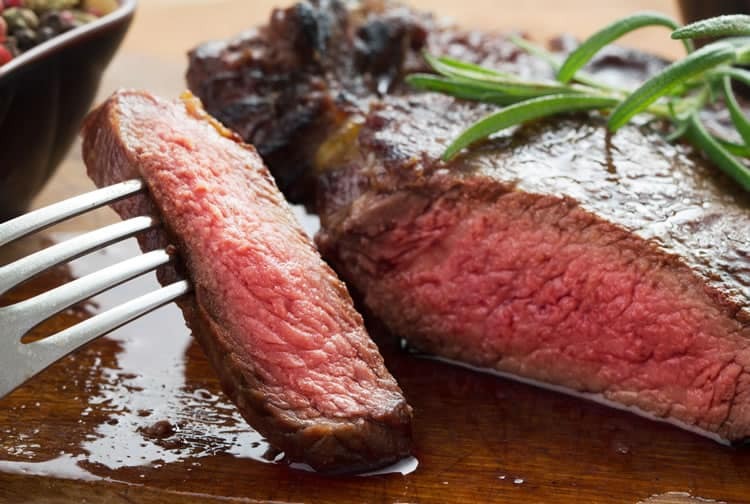 No matter the type of steak or the level of cooking that you prefer, you want to let the meat rest for about ten minutes before you start cutting into it. 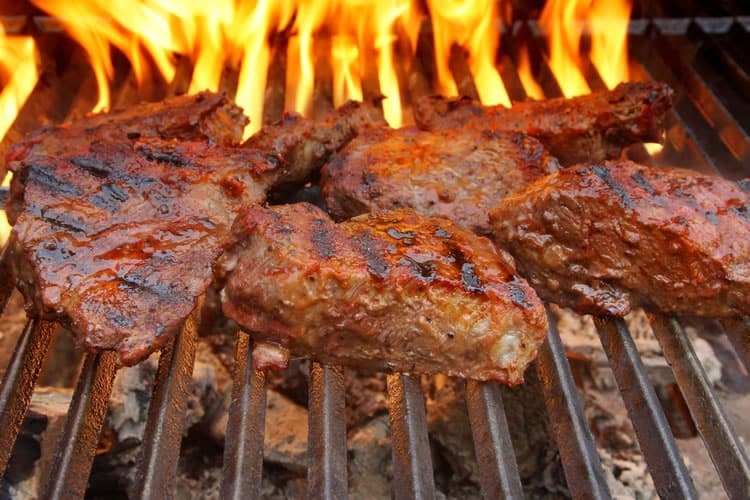 Instead of using a grill fork to remove the meat from the grill, which will puncture the meat and let the juices to escape, use the grilling tongs from a good BBQ tools set. Giving it a rest before you start to eat allows the fibers to relax and it gives the juices a chance to redistribute throughout the cut. When you remove your steak from the grill, cover it with foil and let it sit for about 5-10 minutes. It should also be noted that the steak’s temperature will rise by a few degrees after it has left the grill. If you are spending the money to cook a steak on the grill, then you want to try your best to make sure that it turns out right. By following a few basic rules for grilling steak, you can get better results and make a meal that will be much more enjoyable.